I’ve never seen myself as an activist. I was born on third and spent a lot of my life thinking I’d hit a triple. As I’ve started to learn about privilege — all the benefits I receive in the society I live because I’m a white, able-bodied cis-gender heterosexual male who learned English as his first language and who has never had any serious bouts of mental illness or hard financial times — I’ve started to think more seriously about why I’ve never been an activist. The thing about privilege is that by possessing it, you’re blinded to its impact. White people don’t easily see the advantages afforded to them as white people, black and brown people do. Men don’t immediately see the advantages afforded them by their gender, women (and all gender non-conformers) do. Able-bodied people don’t see the advantages afforded to them by their luck, people with handicaps do. I could go on. The most effective and important place I’ve learned about privilege in all its depth is from people I’ve never met personally, on Twitter. In the context of a casual place I started visiting to see dumb jokes and discussions of techology, I would see glimpses of perspectives different than my own. Sometimes I’d pursue them, sometimes they just appeared for me to notice or ignore. Twitter in specific — and social media in general — is such an effective space for genuine transformation of opinion and understanding because it is so casual and ambient. Its rare — at least as a quiet and privileged person — that someone is confronting me directly. Instead I see them caring about a topic on which I’m not informed. It’s a safe place for me to ignore them, if I’d rather, or pursue what they’re talking about if I choose. The activism of marches and sit-ins and strikes is important. Essential even. But it’s not the only way to transform people or situations. When the only media was mass media, the only way to galvanize attention was to make a scene so big that no one could deny it or ignore it. The only time the civil rights activists of the fifties, sixties, and seventies were able to talk to those whose passive acquiescence to the status quo sustained it was when they made the evening news. Today, smaller and less-reported demonstrations, events, and opinions can go quite far, among a network of sympathetic ears. And at the edges of a network of sympathy — to the plight of black men in America, to the casual violence so frequently suffered by (trans)women, etc — are interested but ignorant eyes and ears. 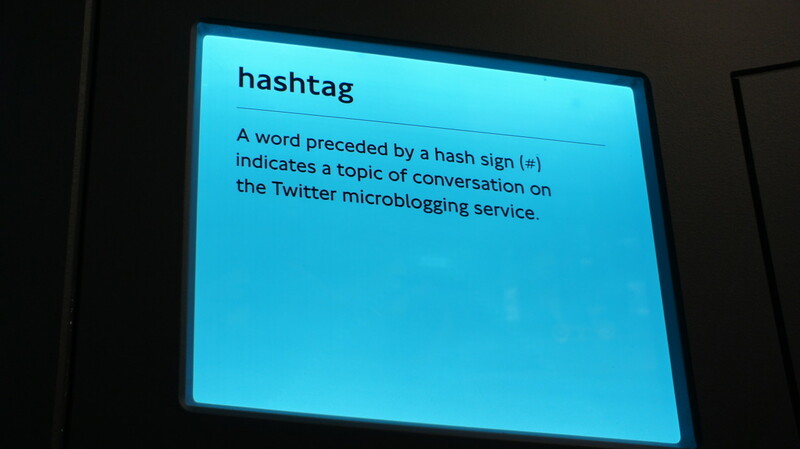 The change engendered by “hashtag activism” is much slower than the sort that can be spurred by large demonstrations. It is a slow opening of those people at the edges of a an existing network of concern. But if or when they’re converted, then the network has grown by a small but important amount. This a slow process, and one largely invisible from the outside. But its significance, power, and importance is easy to miss, deride, and understate. This sort of “activism” won’t change the world in a year, or even a few, but it certainly has value.